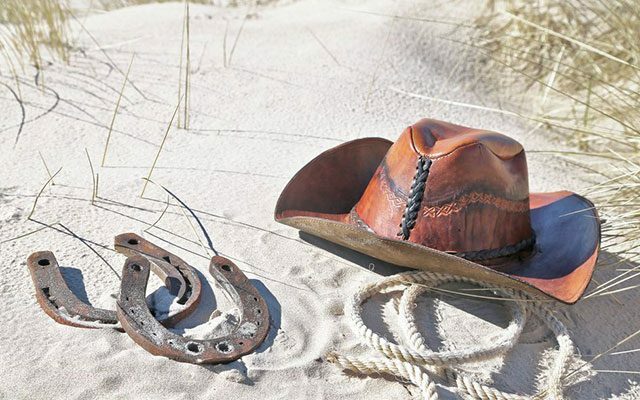 In the last article about cowboy hats, I have introduced to you about the brief history of the cowboy hats, all of the parts that make a cowboy hat and the styles of the crown and brim. 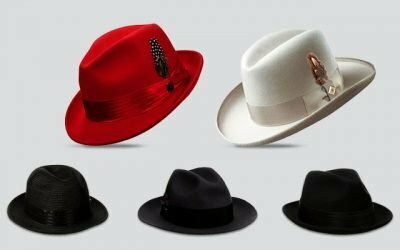 If you have not read the article, you can click here https://thebesthat.com/need-know-cowboy-hat-part-1/ for more details. 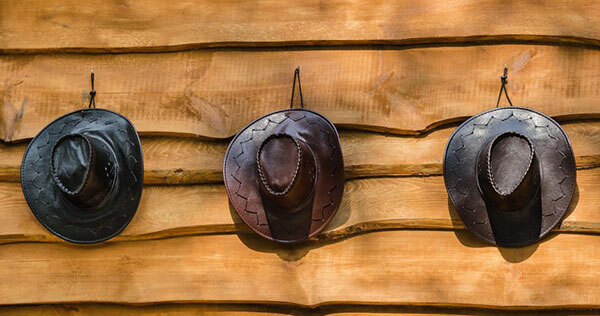 Overall, there are hundreds of styles and designs of the cowboy hats that you can find on the market. You can also shape the brim to make it more unique. Therefore, it is undeniable that the cowboy hat is a truly a personal accessory. Nevertheless, when you decide to buy a cowboy hat from a Western store, you would surely be overwhelmed by a lot of choices that are available to you. You need to think about the material, color, size and style before you can finally buy the most suitable cowboy hat. In case you are in the search for the perfect cowboy hat, I will guide you through some of the most important things that you need to know. Why don’t you scroll down to read now? It only takes you 5 minutes but it surely makes your search easier and more time efficient. Your cowboy hat can be made from a wide range of materials including fur felt, wool, leather, suede and straw and palm leaf. In term of fur, the cowboy hat manufacturers make use of a wide range of animal furs including furs from rabbit, mink buffalo or beaver. Fur felt and wool cowboy hats are commonly used in the cool autumn and winter days. On the other hand, the straw and palm leaf cowboy hats are better for a hot summer day. It is worth keeping in mind that all of these materials are unique in their own ways. They have their own pros and cons and the choice of which material your cowboy hat should be made of depends totally on you. If you choose a cowboy hat which is made from fur felt, you should pay attention to the specification of the X’s on the hat. Basically, the higher the X’s is, the more amount of fur used to make the hat. For many people, it means the hat is of higher quality. I will discuss about the number of the X later on in this article. 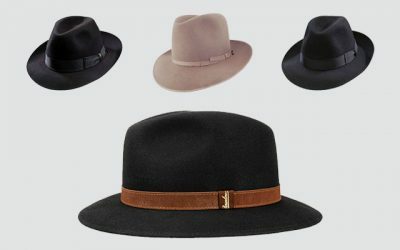 There are some famous brands such as Stetson which have many ranges of products made from the mixture of fur and felt. 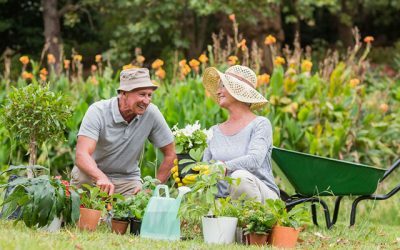 They are popular as they can help the hat to hold up in shape better and last for a longer time. They are also a great option to wear in the winter as the fur felt material is capable of keeping your head warm when the temperature drops down. Don’t think that straw cowboy hats are cheap. While there are straw cowboy hats sold for very low prices, high quality straw will push the price of the cowboy hat higher. A straw cowboy hat is more suitable than other materials for you to use in the summer. The straw material would provide a lot of coolness to your head in a hot summer day. Wool cowboy hats are considered not as premium as felt cowboy hats. Most of the wool cowboy hats are not able to be shaped by steaming. However, they can be crushed, folded and packed into your bag, making it easier and more convenient for storage and carrying around. Leather or suede hats are new trend recently. Leather hats are resistant against water and quite durable. However, they are quite hot in the summer. Suede cowboy hats are certainly unique and stylish. With this material, you can have a wide range of colors to choose from as well. 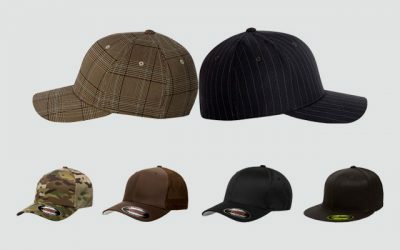 There are many bold and vibrant colors such as grey, oxblood and purple, which you can’t find in any other type of hat. 2. Does The Xs On Your Cowboy Hat Matter? As I mention above, when you decide to buy a fur felt cowboy hat, you need to pay attention to the specification of the Xs. So what does the X present and why should you pay attention to it? It is very easy for you to see that the prices of the fur felt cowboy hats vary a great deal. Take a look at the online site like Amazon and you would find out that. There are fur felt hats that cost around 30 to 40 bucks while there are ones costing more than several thousands of dollars. The main factor that can make the prices of these hats so different is of course the quality of the hat. Even when you are familiar with cowboy hats and its materials, I am sure that you would find it challenging to determine the quality of the hat just by looking or touching the hat only. Luckily, you can base your judgment of the quality of the hat on the number of Xs the hat has. A fur felt cowboy hat is a hat with the material made from animal furs such as rabbit, beaver and mink and mixed with felt material. The Xs of a cowboy hat represent the percentage of the furs that are blended into the material of the hat. For example, when you see a hat which is denoted as 6X, it means that there are 60 % of the furs in the material of the hat. This kind of rating for the quality of the hat is originally invented by the Stetson Hat Company. Over the time, many companies have found the convenience of the rating and started to adopt this. It is worth noting that while some reputational companies such as Stetson stay loyal and honest to the rating; many new companies also rate their hats, only with different standards. Once again, price of the hat is a very important factor to help you decide. If the hat is cheap with a higher number of X, there is a good chance that it is not really trustworthy. So in most of the case, a fur felt cowboy hat with a higher number of Xs is believe to be of higher quality. They are hence more expensive. In addition, you should always turn to reputational well establish brands for an ensured quality cowboy hat. 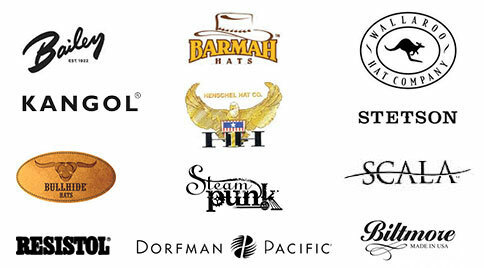 Some brands in which you can trust include Stetson, Bullhide, Resistol and Twister Hat Company. You can also see the specification of X in a straw cowboy hat. It doesn’t meant that the hat contains an amount of fur material like in the fur felt hat. In fact, the Xs of a straw cowboy hat shows you how tight the fabric is weaved and how narrow the straw reed is. Also like the X’s in the fur felt hat, the higher the number of Xs is, the better the quality of the hat. The style of a cowboy hat is a big factor that you need to consider. It is probably the one that would take you the most time to think about. 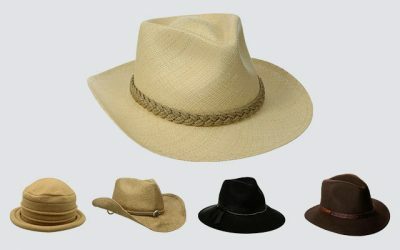 You can check this article here https://thebesthat.com/need-know-cowboy-hat-part-1/ for the most popular shapes of crowns and brims you can find. 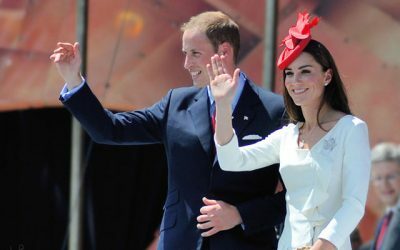 After all, the choice of which shapes of the hat you should have depend pretty much on your preference and your current style. As I mention above, there are good brands of cowboy hats and not to goo brands of cowboy hats on the market. While you have the trustable rating of the Xs, some of the brands are not honest about their rating. I have seen some of the hats which are denoted as a 10X hat while the material used to make the hat is polyester. It means that there is no fur in the hat at all. You might end up having to pay a high price for a fake 10X hat. That is the reason why choosing the brand is important in term of picking the right cowboy hat. Some of the most popular hat manufacturers on the market include Stetson, Bullhide, Resistol and Twister Hat Company. I have to admit that the list I mention just now is quite limited. They are just big brands only. While in reality, you can find a lot of smaller newly established companies which take pride in producing high quality cowboy hats. If you have friends and family members who also love wearing cowboy hats, ask for their experience and knowledge about the brands of cowboy hats you can buy in your area. If you buy a cowboy hat from a store on the Internet, make sure you read the reviews from other buyers carefully. Looking at the stars and feedback a hat maker gets from all of the reviews will help you determine whether it is a trustworthy brand or not. You should always try the hat on. However, knowing about your head’s size before you come to a hat store would help the other people in store looking for hats of your size quicker. It is critical that you know about your head’s size when you buy a hat from an online site. To measure your head, you would need a soft measuring tape. Put the tape around your head in the place where the inner circle of the hat would normally sit on your head. Take the measure in inches and centimeters. Here are the head’s measurement in inches and the according hat size. If you head’s size is 21 1/8 inches, order the hat’s size of 6 ¾. 22 ½ inches in head’s size >> 6 7/8 in hat’s size. 22 7/8 inches in head’s size >> 7 in hat’s size. 22 ¼ inches in head’s size >> 7 1/8 in hat’s size. 22 5/8 inches in head’s size >> 7 ¼ hat’s size. 23 inches in head’s size >> 7 3/8 in hat’s size. 23 ½ inches in head’s size >> 7 ½ hat’s size. 24 inches in head’s size >> 7 ¾ in hat’s size. Finally, some of the hat sizes are not as exact to the inches as they are only available in sizes such as small, medium and large. Here are the order sizes for you. In case your head’s size is from 21 7/8 inches to 22.25 inches, order size medium. For a head’s size from 22 5/8 inches, order size large. Finally, order size X large if your head’s size is from 23.5 to 24 inches. If you find yourself in between two sizes, you should go for the size which is bigger. Waiting for the smaller hat to break in is harder and more time consuming than padding to make the bigger hat smaller. Also while the sizing chart is pretty standardized among had makers, you should always check the sizing chart of each company to make sure you can find the perfect fit. As you can see, there are a lot of things that you need to consider when choosing a cowboy hat. There are different materials, brands, sizes as well as styles of prices to think about before making the most informed choice. I hope with all of the tips above, you would be able to know what exactly you would need in such as a hat. 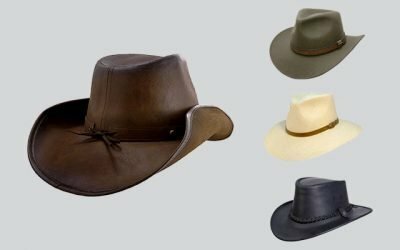 I am sure that as long as you consider all of the options you might have with a cowboy hat, you would be able to make purchase of the cowboy hat that meets all of your needs and requirements. In the end, you would have a lot of fun time styling and wearing the hat. The founders of The Best Hat come from fashion world. We know how to give you the best advices for hat. Because we love hat and love to hear your voice. 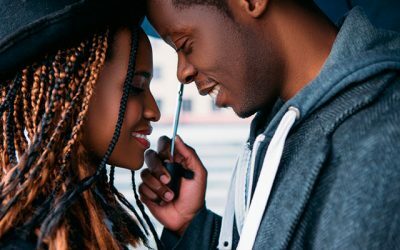 Connect with us on Facebook, Twitter and Google + for your newest trends. 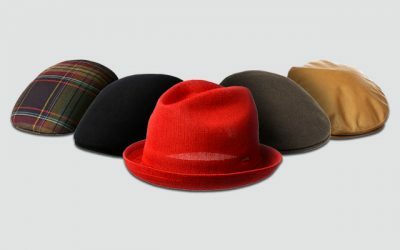 TheBestHat.com is a participant in the Amazon Services LLC Associates Program, an affiliate advertising program designed to provide a means for sites to earn advertising fees by advertising and linking to Amazon.com. 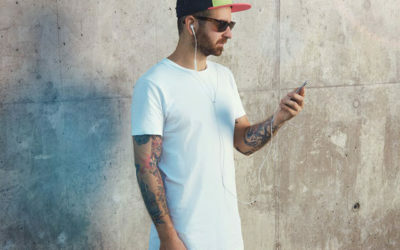 Additionally, TheBestHat.com participates in various other affiliate programs, and we sometimes get a commission through purchases made through our links. Copyright © 2019 The Best Hat. All rights reserved. Enjoy the rest of your Friday. Designed & Developed by GrovePixels.